We are constantly questioned about why businesses should migrate or make the move to Dynamics 365 Enterprise for Operations and Finance in the Microsoft Azure Cloud rather than purchasing the software out-right and hosting in-house or through another hosting provider. I can understand why owners and decision makers are asking these questions, since implementing a new ERP solution is a very serious endeavor with many risks and a huge resource investment. This is especially true in our industry focus, the enterprise and mid-sized manufacturing, supply chain, MRO (maintenance, repair and overhaul) companies. Those industries have many processes and often regulatory requirements that must be met in addition to getting products shipped. Clients First strives to provide as much information as possible to our customers and prospects to help them make the right deployment choice. There are pros and cons to both the cloud/SaaS and on premise deployments. If I had a scale though, I would say that if I had to choose one, mine is tipping to the Microsoft Cloud with Dynamics 365 Enterprise! I think the primary reason I am confident with this statement is because I have done the research and understand the value of the Microsoft Azure Cloud offering. We always inform our customers and let them decide what is best for their business. Be the judge for yourself and read our article on this topic specifically for Dynamics 365 Enterprise. 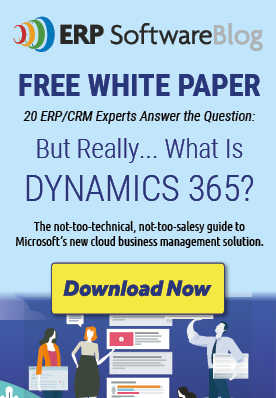 In case you are not aware of this, Dynamics 365 Enterprise is the new Dynamics AX. Clients First has been a reseller/partner since 1998 when it was first released with Damgaard. Clients First has 7 locations across the U.S.A. Two of these locations focuses on Dynamics AX or now as it is named Dynamics Enterprise for Finance and Operations. We have been working with this product since its inception in 1998 and currently have implementations in 11 countries. We focus on Manufacturing, Supply Chain and Maintenance, Repair and Overhaul, however, we have customers in many different industries. We are also a Gold ERP Partner and a Certified Cloud Service Provider (CSP). Email: Minneapolis/St. Paul, Minnesota, or call at 877.428.7205. Email: Dallas/Fort Worth, Texas , or call at 800.331.8382.